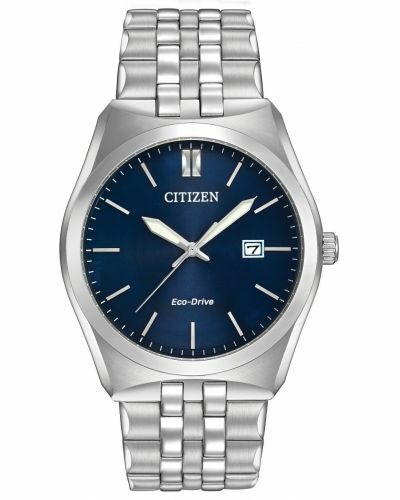 This classic men's watch is brought to you by renowned Japanese watchmakers Citizen as part of their new Corso collection and features a sophisticated 43mm stainless steel case and bezel. 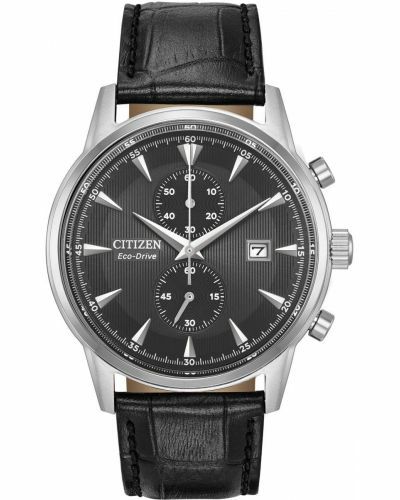 Housed beneath protective hardened mineral glass lies the elegant crisp white striped dial complete with chronograph sub-dials and a date display window. 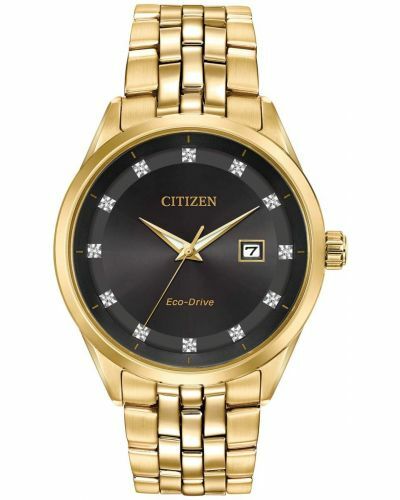 Suave gold dauphine hands add the finishing touches to this refined dial. 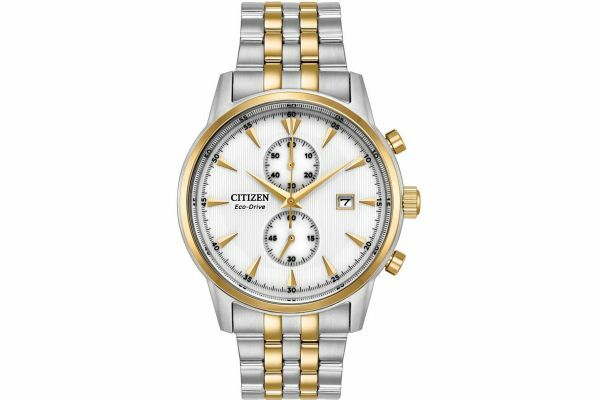 Set upon a smart two tone stainless steel link bracelet with gold plated interval links and fastened by a secure fold over closure with push deployment; the Corso watch by Citizen is as comfortable as it is classic. 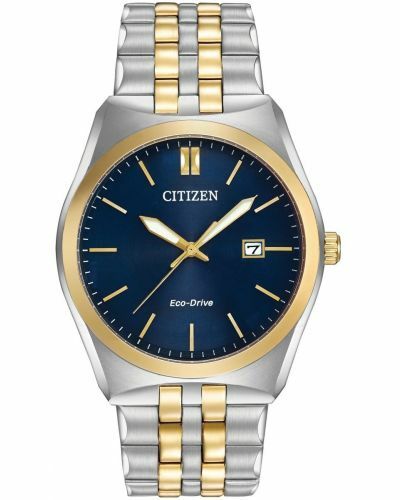 Powered by Citizen's patented Eco-drive (Solar) technology, the Corso watch will never require a battery change and will continually charge with exposure to light. Water resistant up to 100 meters, the Corso watch can be worn whilst swimming and for other light water sports. 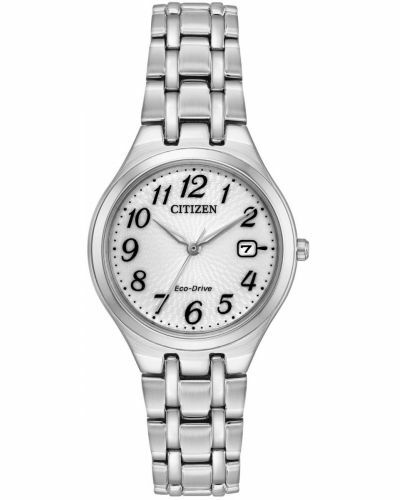 Comes complete with a 5 year guarantee and offical Citizen packaging.